WATCH: Northern residents showed a lot of concern at the caribou recovery engagement session last night. The provincial and federal governments have drafted two agreements under section 11 of the Federal Species at Risk Act. They set a framework of co-operation between the two governments to recover southern mountain caribou; the engagement session was set to gather information on people’s concerns. 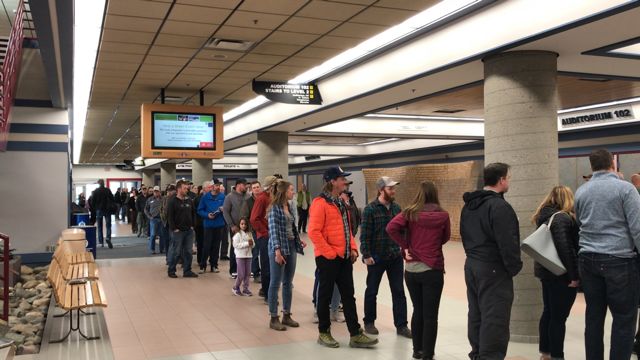 Before the event even began, the line up was almost out the door at the Prince George Civic Centre, and inside there was barely room to stand – the fact of which was a point of contention, among quite a few points of contention, for some members of the audience.